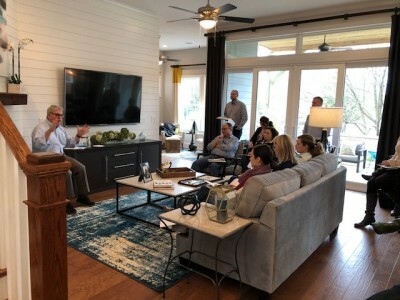 This week, a group of 21 Helen Adams Realty agents and staff members went on an educational field trip to David Weekley Homes in Ballantyne’s South Ridge community to learn more about new construction. 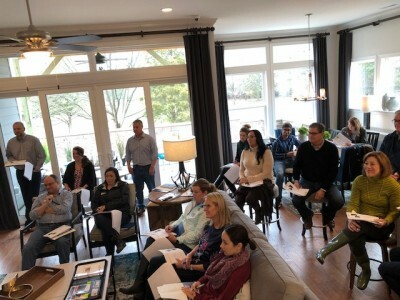 About four times a year, Helen Adams Realty’s Brokers in Charge bring a group of new agents to a new construction site or neighborhood so they can learn more about the process. At these field trips, agents can interact with developers, site planners and other real estate professionals. Cara Shields, Broker in Charge of the Randolph Road office, said these sessions are meant to assist our agents with understanding construction terminology and can help prepare them for client repair negotiations. By visiting these sites, agents can gain knowledge of the building process while equipping them with the guidance that can add value to their future home buyers. Are you interested in learning more about new construction or the home buying process? Our agents can help. With weeks of new agent training along with ongoing training cycles for seasoned agents, our firm knows how to guide buyers in the right direction. Visit our website or call Jordan Nelson, our referral services manager, who can connect you with the right agent for you and your real estate needs.